I’m hoping you may have a few ideas for how to address this problem. 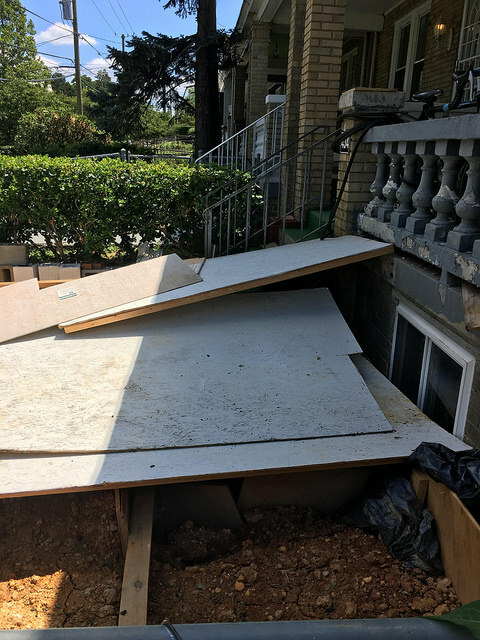 I own a typical Petworth row house, and my immediate neighbors have been doing unpermitted, illegal DIY construction for the last few years. Most notably they were digging out an expansion of their basement under their front porch by hand (yes, with a shovel and buckets and zero structural reinforcements). 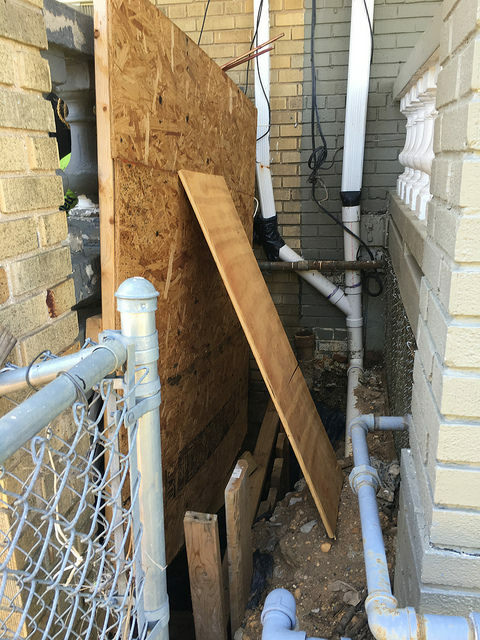 They received a stop work order from DCRA for that project last summer and since then a giant, muddy hole has been growing in their yard and onto my property. 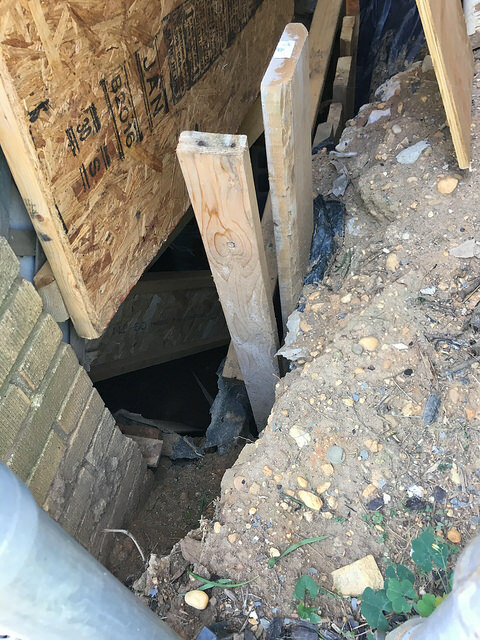 The hole has gotten so large and deep that the gutter drain spout leading from my house that was previously buried is now exposed. We have asked them several times about the hole and asked them to repair it.